This renovated historical Lebanon theatre is home to countless memories, filled with evenings of music, movies, love and endless good times. 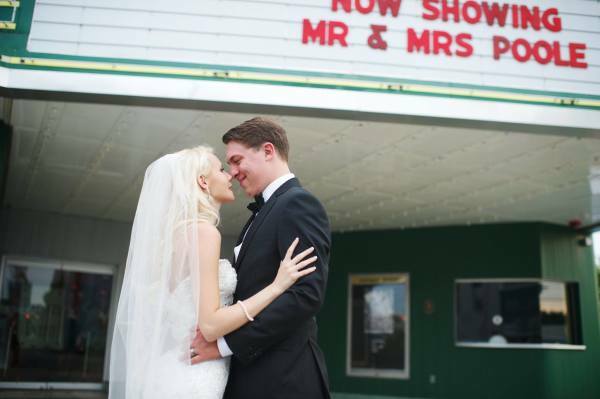 RIght on the square, the Capitol Theatre is now an elegant multi-purpose venue with the ability to host private and public events, entertain with live theatre and music, movie viewings, and more! 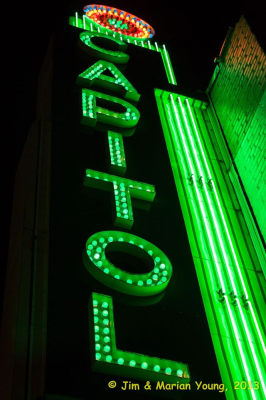 With performances from entertainers such as Matty Monk and Dueling Pianos, The Little Kings, Shotgun Oakley, The WannaBeatles, and more, the Capitol Theatre entertains its guests at every occasion. The Capitol is proud to be the newest local entertainment venue located in Middle Tennessee. The Grand opening of the Capitol Theatre on December 9, 1949 brought the citizens of Lebanon to the movies. That night at the Capitol Theater, it was Technicolor! Not only was it Technicolor—it was Betty Grable in Technicolor. So says the very first projectionist at the theater, Ernest Weatherly. It was his job to set up and operate the motion picture projection and sound-reproducing equipment to produce coordinated effects on the big screen. Mr. Weatherly remembers that very first day so well, “The lobby was adorned with brightly colored arrangements of fresh flowers sent by every single business in town. Everyone was so happy when we opened. They all wished us well and wanted us to succeed.” The flowers were a sign that Lebanon had a citizenry who shared the same excitement and wanted this business to do well—it was also a sign that they were eager to become fans of the movies. And fans they became. Mr. Weatherly remembers the old days, when the Capitol was open seven days a week. He remembers those times with a great deal of fondness. Little known, but very interesting was the fact, that although there was no air-conditioning in those days, the theater was kept cool because of a well drilled into the center of Town Creek which provided a cooling breeze of air; because of the fast running stream below; and when encased, it produced this stream of fresh air, which was channeled into the theater. You can actually see it on Gay Street. The well provided a cooling system of sorts for the theater; because of what he described as a washed air system. Mr. Weatherly doesn’t believe there are many people who know that fact. 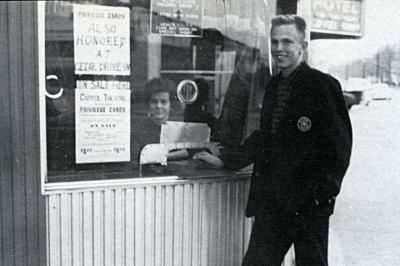 Mr. Weatherly explained the “commissary” as it was called, sold popcorn, cookies, and candy. In those days a ticket to the movies was 35¢; while a bag of popcorn cost a whopping 10¢–which even though times had been tough, movie goers paid gladly for the opportunity to get a chance to see their heroes and heroines on the big screen. The theater seated around 1,000 people in comfortable spring-covered chairs. Mr. Weatherly remembers the building was built with the kind of care that you don’t see today; and it was possibly one of the best constructed buildings of the time. He remembers Marvin Head was contracted to do the construction and masonry work. 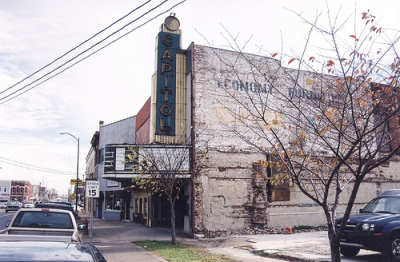 Mr. Head was known for his craftsmanship, and according to Mr. Weatherly, the Capitol Theater was one of the best built buildings in Lebanon. 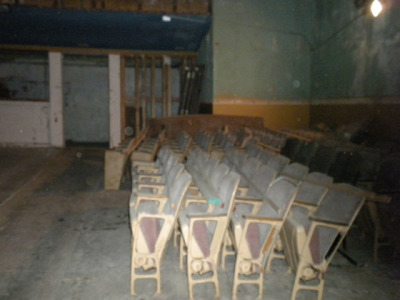 The Princess Theatre and the Capitol Theatre later became part of the Martin Theatre Group, but closed when the Martin Triple Theatre opened up at 1447 West Main in the old K-Mart shopping center. 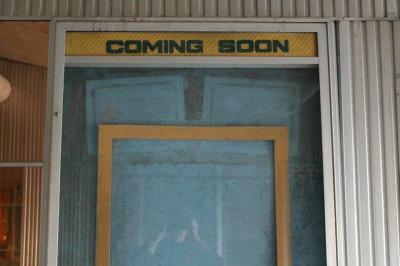 Since that time, the building has remained mostly vacant. There has always been talk that someone would do something with it; however, no one ever did. That is until now—-Bob and Pam Black have bought the building. They have big plans!!! The City of Lebanon may once again share the same excitement they did all those years ago, when the building was adorned with wall-to-wall flowers from a town that wished each other well. The Black’s plan to use it as an event center and that includes showing matinees of the classics on a monthly basis. There’s nothing like seeing the classics on the big screen—and the music, and the dancing, and remembering those times back in the day–nothing.